Content: Goo Connect’s e-assist bike, which promotes urban mobility while minimising physical effort, is an electric city bike that folds up and is very light. Ergonomic and equipped with a comfortable saddle, this mini folding bike can reach up to 20 km/hour and has a 30 to 38-kilometre range. It charges fully in three to four hours. This e-assist bike is ideal for those who use another means of transport in addition to their bike such as the train, bus, tram, or metro. Our electric scooter can do up to 25 km/hour and recharges in an hour. It has a small footprint, is foldable, and features high-end parts including front and rear disc brakes, fast charge, LED lighting, and a backlit alphanumeric display. Thanks to technology that’s unique, the ultra-compact Goo e-pocket scooter is highly responsive in urban environments. It weighs 11kg and fits easily into the boot of a car. 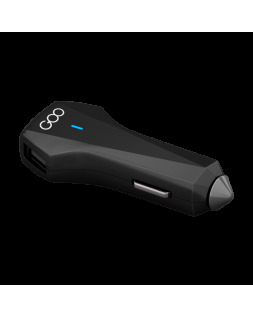 And to complete your portable urban collection, why not check out for Goo's accessories for the smart office? The e-scooter 'Made in France' that charges in an hour! Locate the whereabouts of your dear ones and stay in touch with them using its phone function.